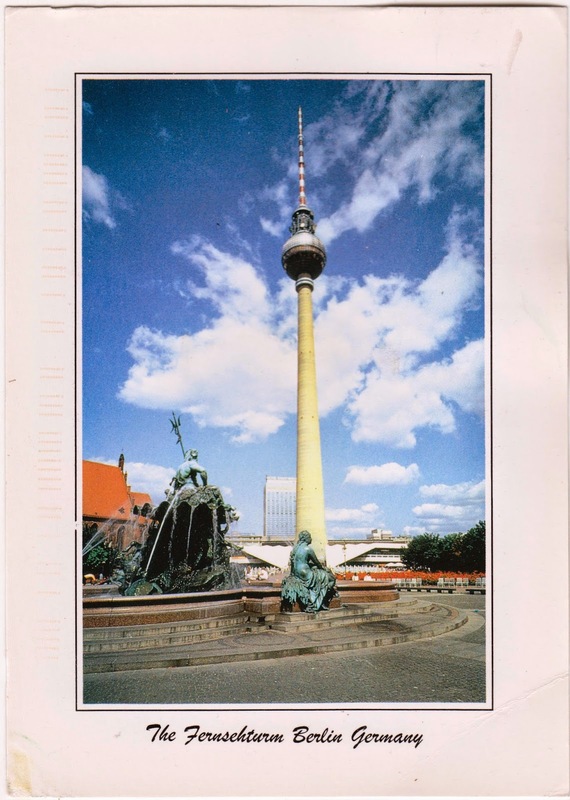 Postcard CN-1285430 from China shows the Fernsehturm, Berlin TV Tower, in central Berlin, Germany. It was built from 1965 to 1969 under the administration of the East Germany, modeled after the first man-made Earth satellite Sputnik. With a height of 368 meters or 1,207 feet, it is the tallest structure in Germany. In comparison, Stratosphere Tower in Las Vegas stands at 350 meters or 1,149 feet.